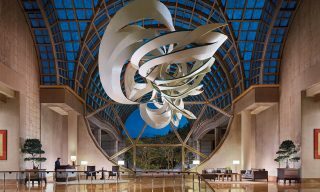 As the Lion City braces itself for this year’s Formula 1 Singapore Grand Prix from September 15 to 17, we’ve come up with a list of some of the best places to stay to catch all the exhilarating action. 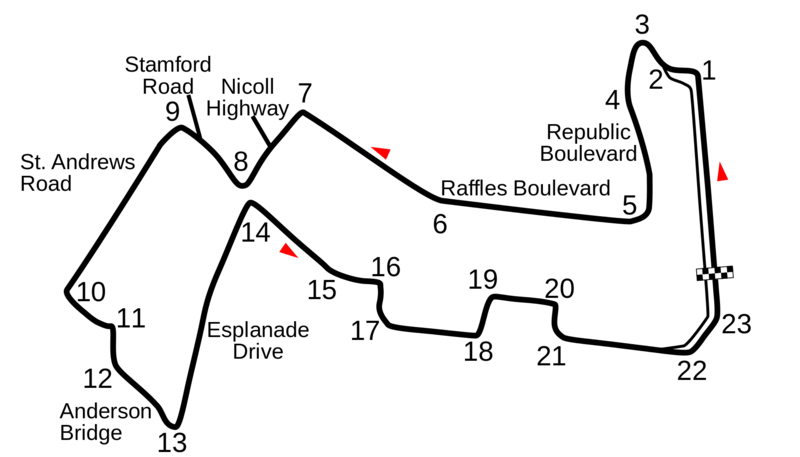 The race map with the different turns identified. Photo courtesy of Wikipedia. Wine, dine, and party through the F1 weekend at this 89-year-old neoclassical property on Fullerton Square. Nestled at turn 13, guests can hold private parties or corporate receptions while taking in the exhilarating action below. Visitors who’d prefer to get as close to the tracks as possible don’t need to worry—gates five and six are only a short five-minute walk away. 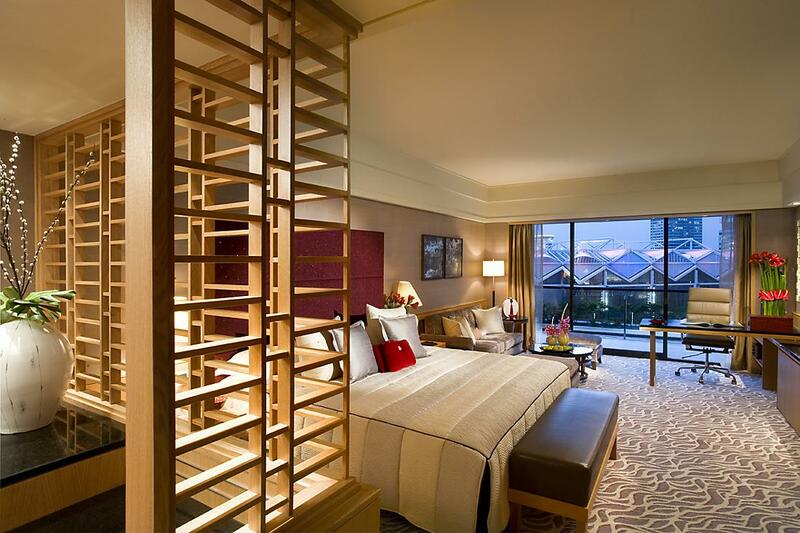 Stay at one of the rooms for US$1,480 per night for a minimum three-night stay. Sitting right by turn six on Raffles Boulevard, the Mandarin Oriental is one of the best vantage points for avid F1 fans to watch the race. 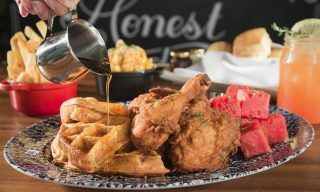 From September 14 to 19, guests can book the hotel’s Singapore Night Race deal, which includes a pair of three-day Empress or Padang Grandstand tickets, and a complimentary daily buffet breakfast or lunch in the hotel’s classy all-day dining venue Melt Café. 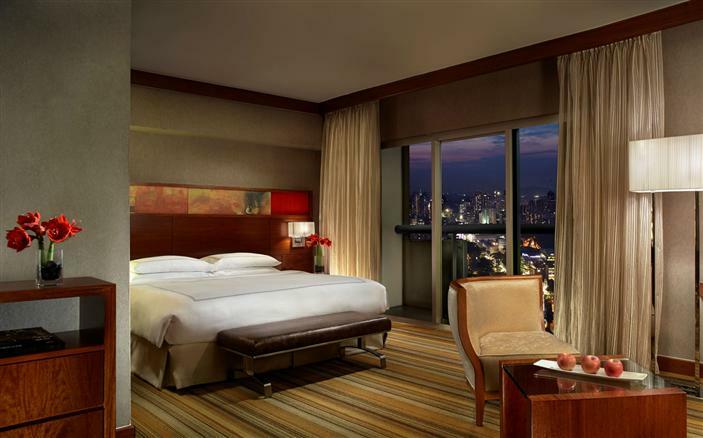 Rooms start at US$885 per night for a three-night stay. 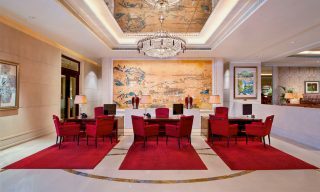 The Mandarin Oriental’s Mandarin Room. All photos courtesy of the hotels mentioned. 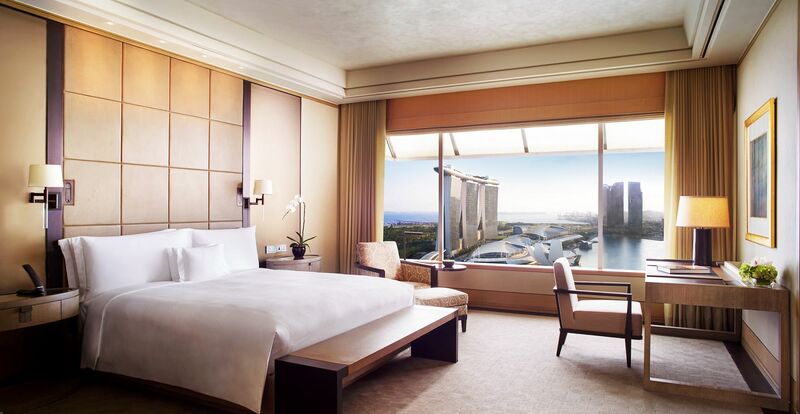 Here’s a little something for the early birds—if you book now, you can get the chance to catch the heart-pumping action of the race from the comforts of one of the Ritz Carlton’s 608 rooms. 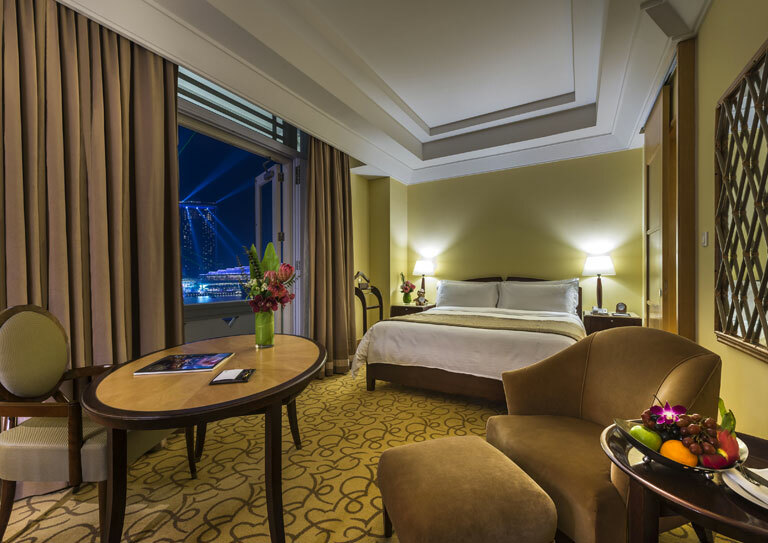 Located before turn six in Marina Bay, the hotel offers a three-night stay for two people, daily buffet breakfast, a bottle of champagne, and a pair of tickets to an after party held at the hotel’s Podium Lounge on September 17. 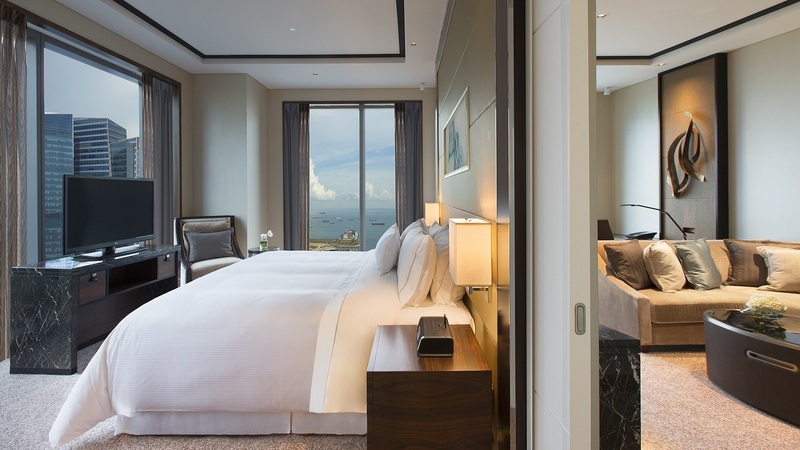 Go for a staycation starting at US$3,200 for a three-night stay. Here’s something you won’t see on the tracks: a life-sized race car made of light bulbs, coffee capsules, seashells, bottle caps, and drained batteries. On display in front of the Scotts Road-located deluxe business hotel, the race car was created to mark the F1 weekend by all the hotel’s departments and took more than 1,400 hours to complete. A kinetic energy producing wheel is attached to the display, allowing the public to watch the race car light up right in front of their eyes. Besides the flashy display, the Royal Plaza also has a special promo in honor of the Grand Prix—stay two nights from now until September 10 and enjoy two complimentary breakfasts, up to 15 percent off regular rates, and a minibar and Nespresso Coffee machine to enjoy in your room. 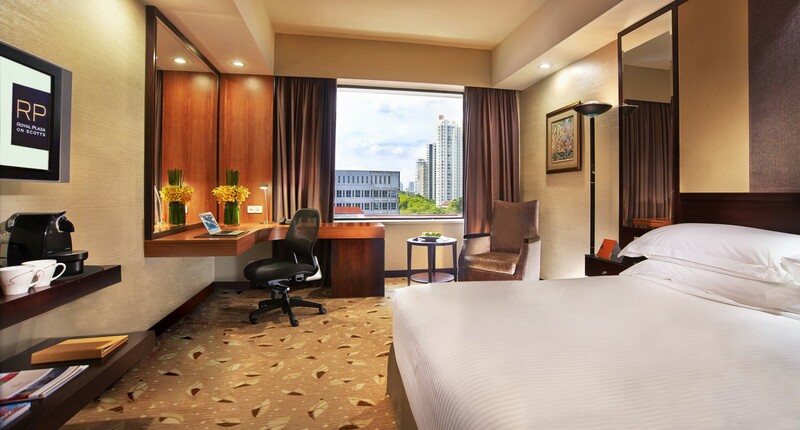 Rooms start at US$235 per night for a two-night stay. 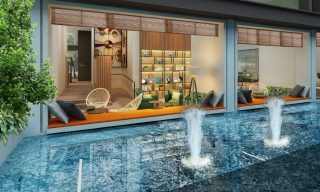 Experience one of Singapore’s most anticipated events of the year at this 1,261-room Swiss property. Located at turn nine, guests are offered panoramic views of both the city and the race from the hotel’s well-appointed rooms. The hotel allows a maximum of three overnight guests so you can bring your friends and family along. 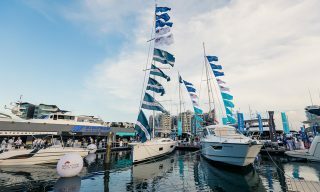 Watch the event for US$960 per night for a minimum of three nights. A 10-minute walk to gate six and a five-minute train ride to gate two, the Westin is the perfect base for guests who prefer a little peace and quiet without missing out on the action. This September, the hotel is offering an F1 staycation for two, which includes daily buffet breakfast at their restaurant Seasonal Tastes. And to cap it off, there’s a free buffet lunch at the same dining venue or an afternoon tea session. Book from now up to September 17 to get rooms priced at US$565 per night.